Car sharing is catching on in the country, especially among millennials, many of whom cannot afford to own a car because of the rising cost of living or who are too environmentally conscious to do so. Car sharing is a relatively recent phenomenon in Malaysia. It is the next version of the car rental service, one that can be accessed through an app on a smartphone. The cars — be they new or peer-to-peer — can be hired for a few hours, a day or several days. Enterprise spoke to four car-sharing app founders and CEOs to get a feel of the local market and some of the challenges they face in bringing this service to this market. Moovby was the first such app to be introduced in the country. 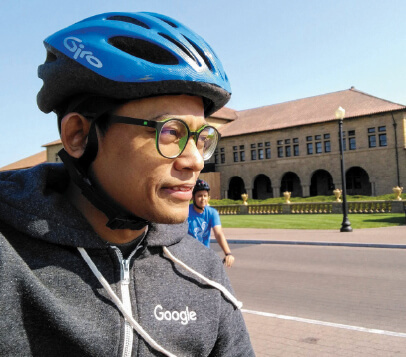 The peer-to-peer service came about when co-founder and chief technology officer Nik Muhammad Amin let a junior at university use his car to attend a convocation and got paid for it. “It was a lightbulb moment for me,” he says. Nik started doing research on the car-sharing industry, trying to figure out if it was time to bring it to our shores. He decided to attend a Malaysian Global Innovation & Creative Centre (MaGIC) road tour to look at the possibility of setting up a business and it was here that he met Nadzri Sazali, co-founder of the company. “We attended MaGIC’s programme in Sabah and we invited another friend, who was good at product design, to help out,” he says. After four months of being incubated by MaGIC, the trio received a RM150,000 grant from the Cradle Investment Programme (under CIP50), which enabled them to develop Moovby. The Cradle Investment Programme provides financial assistance to entrepreneurs to help them start technology-based ventures. 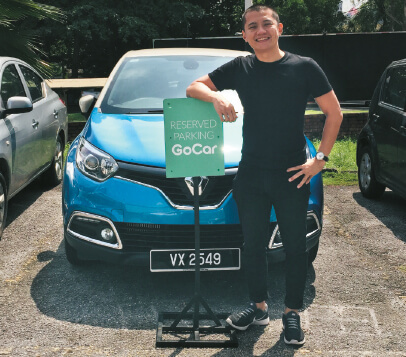 Kwikcar co-founder and CEO Jared Chan, on the other hand, was inspired to start his peer-to-peer car-sharing service on one of his visits back to Malaysia. He was living in Australia and when he came back for the holidays, he found readily available and appropriately priced rental cars difficult to come by. So, he started Kwikcar for others like him who thought rental cars in the country were too overpriced. He believes he can achieve affordable rentals through this peer-to-peer car-sharing service. Having done his research, he knows that there are plenty of cars sitting idly in garages or parking lots that are ideal for such a service. “Malaysia has the third highest ratio of cars per household in the world. Some 93% of all households in the country own a car and there are about 11 million passenger vehicles that are stationary for more than 20 hours a day,” Chan points out. GoCar CEO Alan Cheah says its service offers a lot less hassle as those who want to rent a car can do so via its app. Tan started worked on the app in March 2015 and launched it in February the following year. The new kid on the block, as far as car-sharing apps in the country go, is Socar. This app took off in South Korea and the company is hoping to replicate its success in Malaysia. Most of these apps are only available in the Klang Valley, with the exception of GoCar, whose services are also available in Langkawi. However, the concept is slowly catching on in the rest of the country. Drivers from Penang, Johor, Sabah and Sarawak are already trying to register themselves or their cars on these apps. Socar is providing a test run of its “door-to-door” service (meaning that it delivers the car to your doorstep) in the Bangsar area for a flat fee of RM5. 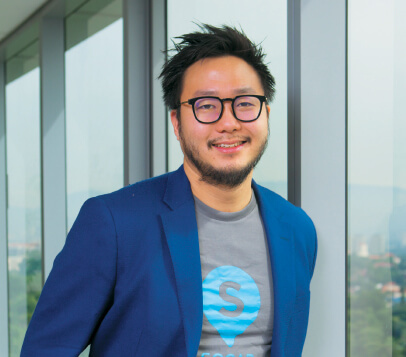 “You can choose where you want to pick up the car in Bangsar within certain hours and you drop off the car anywhere in Bangsar, also within certain hours,” says Socar Malaysia CEO Leon Foong. Socar and GoCar provide brand-new car fleets for their car-sharing services. Socar charges RM8 per hour for its cheapest model, a Perodua Axia, while GoCar charges RM14.90 per hour for its cheapest model, the Nissan Almera. GoCar’s fleet is supplied by the Mayflower car rental business. Cheah points out that GoCar’s fleet of cars belongs to the company as it finds the peer-to-peer model rather messy, with a lot of legal and insurance issues. “We are not heading into that until the issues are resolved. Right now, we have more than 180 cars. But we are adding cars every month. In fact, we are adding almost 50 cars a month,” he says. As for the peer-to-peer car-sharing services, prices vary depending on the car make. There is a large variety of cars provided, from regular sedans to sports cars with up to 700 horsepower. However, there are special rules for those who want to rent the more expensive cars, imposed by the service providers or the car owners themselves. Car sharing may be the best thing for millennials who want the freedom of driving without the burden of a car loan. But for those who choose to own their own car, such services could also help them with the loan. “By renting out their cars every weekend, they can pretty much cover their car loans. That is really good because 25% of all millennial bankruptcy is due to unpaid car loans,” says Kwikcar’s Chan. For instance, if someone lists his Perodua Myvi on Moovby, it will earn him about RM104 a day. If he rents it out four weekends a month, he could earn enough to pay for his loan, with a little left over as well. But car sharing does not only earn those willing to participate extra pocket money. It is also good for the environment. A study conducted among 363 car-sharing respondents in the Netherlands, “Mobility and environmental impacts of car sharing in the Netherlands”, found 30% less car ownership among car sharers who also admitted that they drive 15% to 20% less than they did prior to car sharing. According to the study, the shared cars mostly replace a second or third car. With reduced car ownership and car use, car sharers emit between 240 and 390 fewer kilogrammes of carbon dioxide per person, per year. This is between 13% and 18% of the carbon dioxide emissions related to car ownership and car use. He did not despair, however, and finally met the right insurance service provider. Allianz has been keeping up with most of the start-up trends and was the first insurer willing to come to the table and talk business. Michael Fong, head of digital partnerships and innovation at Allianz, says the insurance coverage it currently provides car-sharing services in Malaysia is for personal accident and roadside assistance. He adds that since the company was already looking at ride sharing, addressing the needs of car-sharing providers was a natural progression. In Australia, for example, you can buy additional cover for your private car for ride and car sharing. “This allows you to do Uber and Grab and also put your vehicles on car-sharing platforms such as Kwikcar or Moovby,” says Fong. He adds that Allianz goes the extra mile to ensure that the solutions provided are compliant with the provisions of regulators such as Bank Negara Malaysia and the Land Public Transport Commission (SPAD). “So, both regionally and locally, we are supportive of new economy start-up platforms because we are passionate about local entrepreneurs and start-ups,” says Fong, adding that there is also an environmental dimension to this. Other than insurance, car-sharing service providers have put their own safety measures in place. Socar and GoCar, for instance, have a keyless unlock button that connects you to the app and permits an individual to unlock a car and start it. Moovby has developed its own smart Internet of Things kit. “This kit is actually an advanced telematics kit installed in all Moovby cars. It can automate the locking system, start and stop the engine and provide real-time GPS as well as behaviour-tracking,” says Nik. As for Kwikcar, a similar telematics device is installed in the cars. The idea is that the device will not just allow the company to track the car but also furnish it with data on consumer behaviour (how the car is used and where they are travelling, in terms of distance and location). With four car-sharing services already in Malaysia, one may be forgiven for thinking that the market is getting a little crowded. But GoCar’s Cheah does not think so. “If you are looking at the long game, there is plenty of room for improvement, provided that the players focus on improving our transport ecosystem, rather than just coming in for commercial purposes,” he says. Chan does not believe that car sharing will become obsolete with the introduction of new technologies such as self-driving cars, but he does think the business model may need to be tweaked over the next 5 to 10 years to keep up with the changes. After all, car sharing is on trend. Nik says according to research by Navigant Research, worldwide membership in car-sharing programmes will grow from 2.3 million in 2013 to more than 12 million by 2020 as this model of shared personal transport is seen as a potential solution to global gridlock. Though autonomous cars have yet to make a big impact on the world market, everyone agrees that it is just a matter of time. Where will that leave the car-sharing business?